It was the perfect ending of a love story with Ridhima, allegedly brutalised by her family over a love affair, finally tying the nuptial knot with her boyfriend at a solemn ceremony here this morning. Bhoj Plasra in Morni, Panchkula could have been like any another remote, neglected rural habitation, except that it has decided to bring about some positive change. Can Punjab regularise constructions on UT’s periphery? Two unidentified persons last night fired in the air in front of the house of the overseas director of the New York-based PGS Solutions LLC Divesh Parbhakar in Sector 46. They allegedly threatened to eliminate Mr Prabhakar when they did not find him home. Come November and the largest science city in India will open its doors to the public. Phase I of the Pushpa Gujral Science City (PGSC) spread over 70 acres on the Jalandhar-Kapurthala road is ready to take visitors on a ride of scientific marvels, many of us have just read about. The Finance Minister, Prof Sampat Singh, today accused the Punjab Governor, Justice O. P. Verma (retd), of nullifying the water pact under pressure from the Centre. 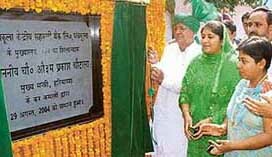 Haryana Chief Minister Om Prakash Chautala today said leaders of the Opposition, especially the Congress, were now scared of going to people to seek votes for the forthcoming Assembly elections, fearing they might not get a similar mandate as in the Lok Sabha elections. In Haryana, about Rs 37 crore have been spent to construct 42 bridges during the tenure of the present government, and 25 more bridges crore would be completed at the cost of Rs 28. 26 crore during the next year to facilitate traffic on roads. Members of the All-India Confederation of SC/ST Organisations organised a meeting at Dr Ambedkar Study Circle Sector 37, here today. They decided to appeal to the Supreme Court against the verdict of the Delhi High Court by which reservation quota for the Scheduled Tribes has been abolished in Delhi, according to Mr K.P. 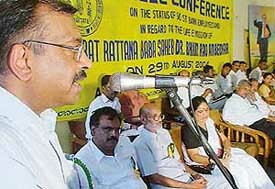 Chaudhary, General Secretary of the organisation. In a U-turn, Mr Suresh Chandel now wants the Deputy Director, Administration, Ms Meeta Rajivlochan, not to be repatriated despite earlier writing to Union Health Minister A. Ramadoss for an inquiry into the charges levelled against the Deputy Director. For the Bambah family in Phase IX, the stork seems to have chosen one lucky day from the 365 days of the year to visit them —August 6. 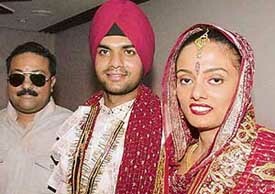 Mr Manjit Singh Bambah and his wife Lovepreet had a third daughter born to them on August 6, this year. 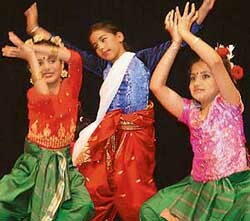 British Library today organised “everybody is special”, a speech and drama workshop for 4 to 7-year-old at its premises. The workshop was held in two separate sessions. There were 25 participants in each session. The children liked the workshop which was more action based rather than theoretical. The Scheduled Caste and Scheduled Tribe Employees’ Association of the State Bank of India raised their demands at a function organised at Ambedkar Bhavan, here today. “Sanatan prayan samaroh” was celebrated at Shri Sanatan Dharm Temple, Sector 45, today. The programme was the culmination of a series of programmes on Shiv’s Rudrabhishek that had been organised since July. The Haryana Chief Minister, Mr Om Prakash Chautala, has approved the extension of the duration of the one-time settlement scheme to benefit those members of primary house building societies who were advanced loans by Housefed. The police has busted a flesh trade racket operating in Raipur Rani and has arrested six persons, including the 50 year old kingpin of the racket, her daughter and a son. Employees of a liquor vend were robbed of Rs 4,500 at gunpoint near Naggal village, Barwala, last night. The incident took place when two scooter-borne youths approached the vend on the pretext of buying liquor. They were wearing masks to cover their faces. The accused pulled out a pistol and took away Rs 4,500 from the employees. Harbhajan Kaur, a 72-year-old resident of Phase IV died here today after consuming a poisonous substance. According to the Phase I police station SHO, Mr Jagjit Singh, the victim was said to be suffering from a disease for the past three years. She consumed a pest control drug by mistake some days ago. She was admitted to a private nursing home where she died this morning. The police has started inquest proceedings under Section 174 of the CrPC. Two persons committed suicide by jumping in front of a train near Chandi Mandir during the past 24 hours. A 24-year-old youth, Chirag, a resident of Sector 11 here, jumped in front of the train last night. 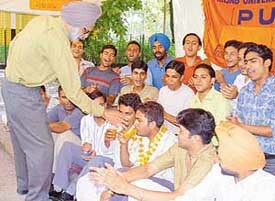 He was seriously injured and was admitted to the PGI, Chandigarh. Kishangarh resident Pritam Singh was today booked for violating the Periphery Control Act and the Registration Act, 1908. A case was registered in the Mani Majra police station on the complaint of the Deputy Commissioner, Mr Arun Kumar, under Sections 420, 120-B (criminal conspiracy), 82 (A) of the Registration Act, 1908 and 12 of the Periphery Control Act. Two houses were burgled in Sector 44 during the day time yesterday. Mr Mohan Yousif of house no. 3104/2 reported that the thieves took away jewellery, computer printer and a mobile phone set from his residence. Mr Ajay Khush, a resident of house no 3103/2, reported that jewellery and cash were stolen from his residence. The police had registered cases of theft. The Chandigarh Police today arrested Baldev Singh, alias Sukhdev, in the sensational Lekhraj kidnapping case. However, Harvinder Singh, alias Pinka, and Lakhwinder Singh, alias Lakha, are still at large. Mr Piara Singh Clair, Lord Mayor of Leicester City, UK, was honoured by the Punjab Agricultural University Alumni Association at a brief but impressive ceremony in Mohali yesterday. All teaching departments, affiliated colleges and offices of Panjab University will observe a holiday on September 1 in connection with the quadricentennial celebrations of the installation of Sri Guru Granth Sahib, according to a press note issued by the university spokesperson here today. The LotusEco-club of Government Model Senior Secondary School, Sector 20, and girl guides of the school organised a tree plantation drive at the campus here today. DC Model Senior Secondary School won first prize in the junior category, while Bhavan Vidyalaya won first prize in the senior category during the patriotic group song competition organised by the Bharat Vikas Parishad at Arya Samaj today. A UGC’s NAAC team will pay a two-day visit to Government College, Sector 40, starting tomorrow to assess and grade the college on the basis of its academic and extracurricular activities, according to a press note issued by the Principal of the college here on Sunday. Bhupindra International Public School (BIPS) here organised a rakhi-making competition for its students. The event evoked a lot of enthusiasm and participation from the students. In the age group of seven to eight years, Emaan was awarded the first prize while Mohit got the second prize. In nine to 10 years age category, Tushar and Purvika bagged the first and second prize respectively. Aman Verma, the name conjures up picture of the charming host of TV serial “Khul Ja Sim Sim” whose voice and manners equally gladden viewers. The man who has helped many in opening the door to fortune is himself quite lucky. His role in teleserials like “Devi” and “Kumkum” have made him popular. We have only one life as they say. So why not live it to the full. Waking up to this reality city residents are going full steam, fulfilling all their heart’s desires and fond hopes. Their is a definite shift towards a luxurious and comfortable lifestyle. Unlike their parents, this generation don’t want to hoard or save something for the rainy day. 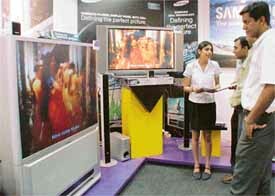 The stress is on“ better present’ rather than” Save for tomorrow” So little wonder that latest models of TVs, VCDs, Cameras, refrigerators and cars evoke a great enthusiasm and find ready takers. IT is centuries-old festival. But every year it gets more fresh, more fragrant and even more fashionable. Deriving its life and strength from the fondness of the hearts, Raksha Bandhan is all about valuing the boundaries of affection. 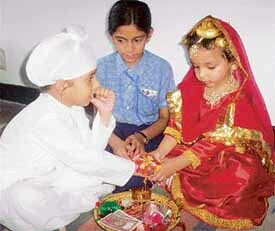 This is the time when brothers and sisters convey their love towards each other. 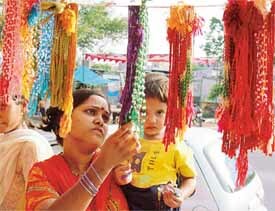 For the city-based, bank employee Amita Sen, it is the most important festival of the year. 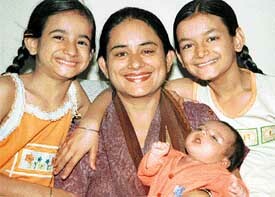 “I feel that my brother Shashank is the greatest gift of God. We have grown up playing, laughing, crying, fighting and struggling together. The eternal charm of Saigal’s songs was recreated this evening as New Theatre Company, Calcutta, the Environment Society of India, Chandigarh and the UT Administration’s Cultural Affairs Department got together at Tagore Theatre for the birth centenary celebrations of the singer. A knowledge of every aspect of television production and current affairs is essential to be a successful anchor, said Shireen Sethi, head of Saharaya Samaya Rashtriya NCR. Shireen Sethi was here on an invitation of the Chandigarh Management Association (CMA) to provide career counselling to students of the GGD, S.D. College and Panjab Engineering College. Live surgery demonstrations and an audio visual presentation marked a professional update on dental implants organised by the Command Military Dental Centre (CMDC) in Chandimandir, near here, today. The state and Mohali branches of the Indian Dental Association (IDA) organised a one-day certificate course here today. Internationally renowned ophthalmologist Dr S. Natrajan delivered the Dr A.D. Grover Memorial Oration at the 19th annual conference of the Chandigarh Ophthalmologists Society at Government Medical College and Hospital (GMCH), Sector 32, today. Various functions were organised by the Central Bank Officers’ Association (CBOA), Chandigarh Zone, to celebrate the 40th anniversary of its national body, All-India Central Bank Officers’ Federation. A delegation of institutionally qualified homoeopathic doctors from Pakistan arrived in the city on Saturday evening from Delhi en route to Shimla to take part in the two day Indo-Pak seminar on homoeopathy which began today. The Kelvin Mountain Bike Cycling Championships, organised by the Chandigarh Amateur Cycling Association, was held at Forest Hill Resort, this morning. More than 80 cyclists took part in cross country and MTB cycling races, braving sultry weather conditions. Dashmesh Girls School, Badal, Muktsar bagged the overall first position in the Punjab state inter-school shooting championship which concluded here today at the Shooting Ranges, Phase VI, Mohali. 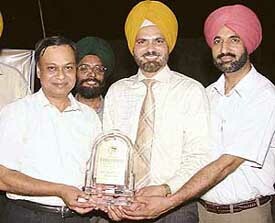 Kundan Vidya Mandir, Ludhiana got second place. Chandigarh, August 29 Except the National Institute of Sports, Patiala, and Government College, Sector 11, Chandigarh, no other sports institute today celebrated National Sports Day. In Panchkula, the Administration and Gurukul School yesterday celebrated the day by holding events.